The easiest meatball recipe you can make! 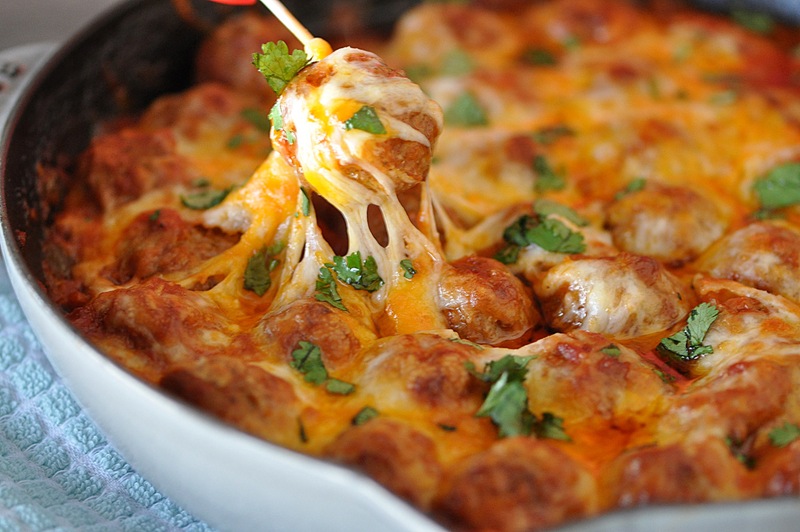 We used @simeks Meatballs to make this easy appetizer for a crowd! Cheesy Skillet Meatballs are coated in marinara sauce, flavored with fresh basil, and covered in a blanket of Parmesan and Mozzarella cheese. You can serve them over pasta for a meal or serve them on garlic bread slices for a delicious appetizer. Since the meatballs are already fully cooked, it takes no time at all to make this dish. Just add some oil to a pan. I like using a cast iron skillet. Add the meatballs and heat them on each side for about a minute. Then add a jar of marinara sauce and some fresh basil. Simmer until the meatballs are heated all the way through. Finally add some Parmesan cheese and Mozzarella cheese.